My friend Cassie bought me a knitting pattern book, Knitting 24/7, for my birthday last year. It is full of fun, modern patterns. She pointed out that there was a really cool pillow. I took note and decided she was getting the pillow for her birthday. While the pillow looks nice, I really hated making it. I started it at the beginning of October on the car ride back from our wedding and just finished it two weeks ago! Construction Type: I very much like my projects to be seamless if at all possible. This pillow was the opposite of that. 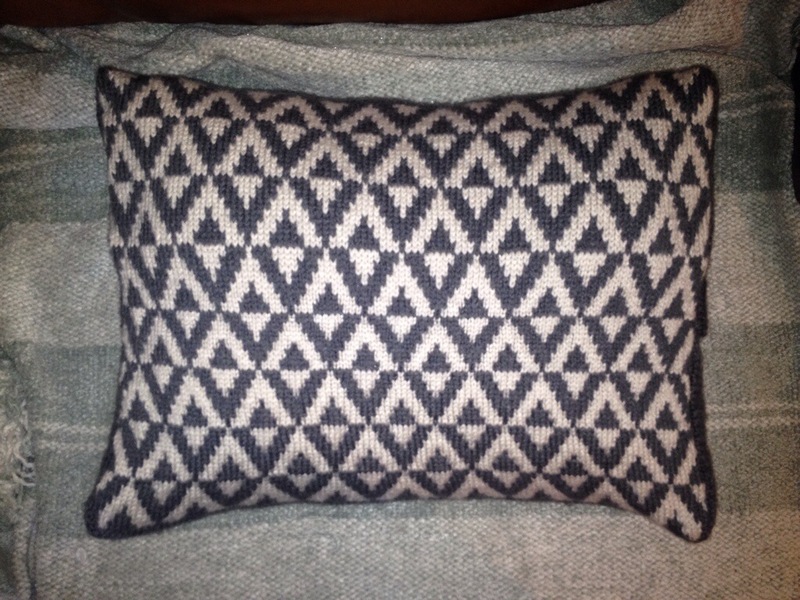 The front of the pillow was made by knitting in a round with a steek. 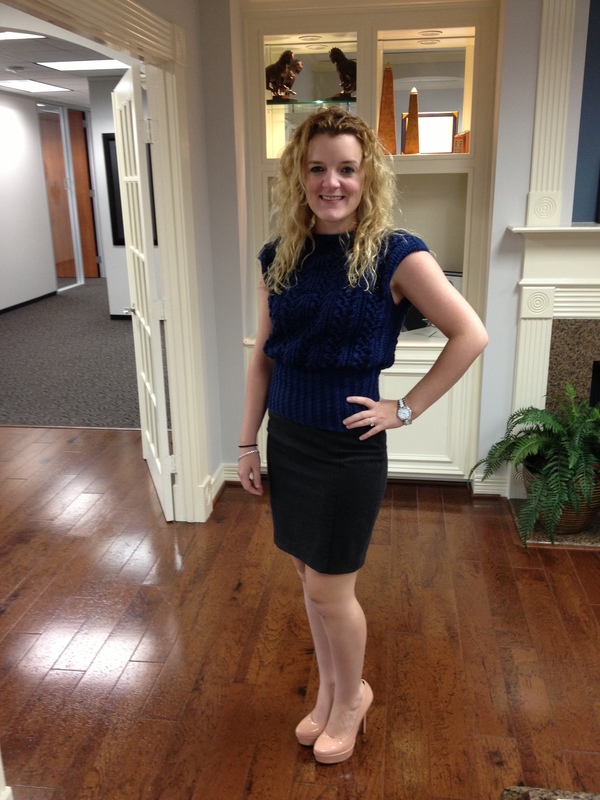 A steek is basically an extra stripe in the fabric that you will cut through. Yes. You have to cut into your knitted fabric. Then you have to sew up the edges so it doesn’t unravel. Scariest thing ever. You also have to knit a bunch of extra stitches, and I’m lazy. After the front is made, the knitter must pick up stitches at the top and bottom of the pillow and knit the two back halves. After all of that, the sides have to be seamed. 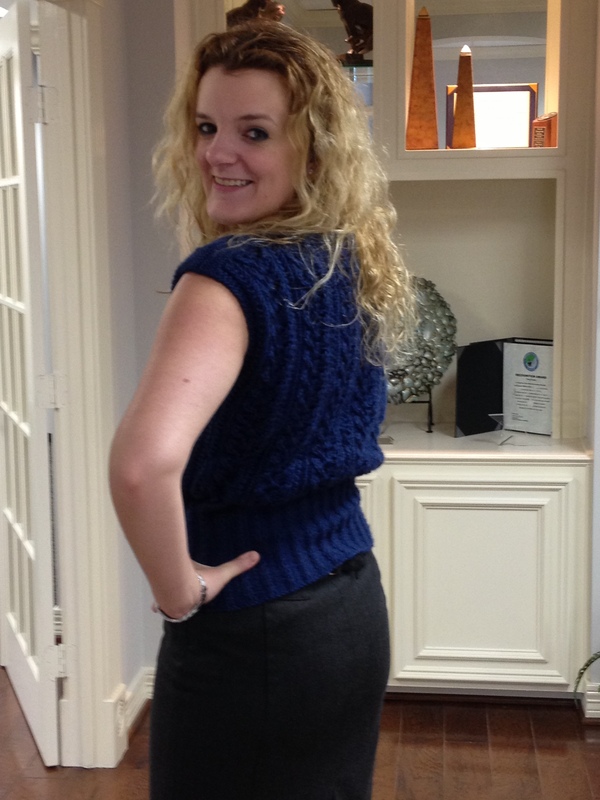 It would have been much easier to start at the center of the back, knit to the top, knit the front from the top to bottom, and knit the back from the bottom to the middle. My Own Error: I started out making the pillow on some very old circular needles my grandma gave me. They were stiff and I was having a hard time working the project in the round and pulling the front design a little too tight. I was really frustrated with the needles and was really wishing for new needles. For Christmas, my husband bought me a new set of circular needles. He wanted me to try them and I was super frustrated with the ones I was using. I knew that the tension in the project may change a little if I switched, but I was ready to quit on the project. I switched needles. They were wonderful. It was so easy to keep working the project. After about an inch of more fabric, I noted that my tension had gotten looser. I was concerned, but decided the pillow should stretch it out. As I kept going, I noticed a major difference in the old knitting and new. I didn’t know if a pillow was going to be able to overcome the problem. I sat the project down for a couple of months. I didn’t want to make the back (the pillow was very large) if I couldn’t fix the front. My husband talked me into finishing it. Despite the fact that the pillow was knitting too tight horizontally, it turned out wide. The height was perfect. Several people complained about this problem on Ravelry, so I wasn’t the only one. I ended up sewing and stuffing my own pillow to fit it perfectly. 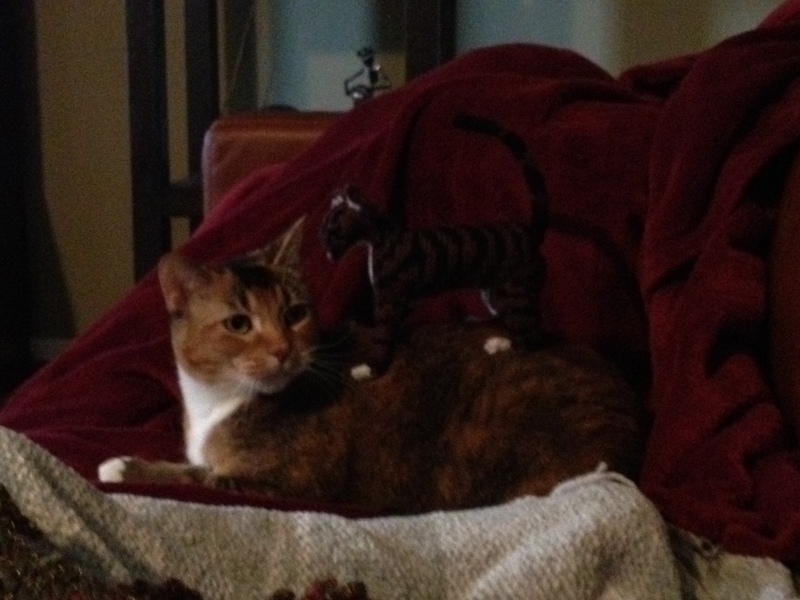 The change in tension isn’t obvious in the overstuffed pillow. Some ladies in my Sunday School class are interested in learning to knit and crochet. We decided to add a missions component to the learning experience and make preemie hats to donate to local NICUs. We had our first meeting yesterday and it was a blast! 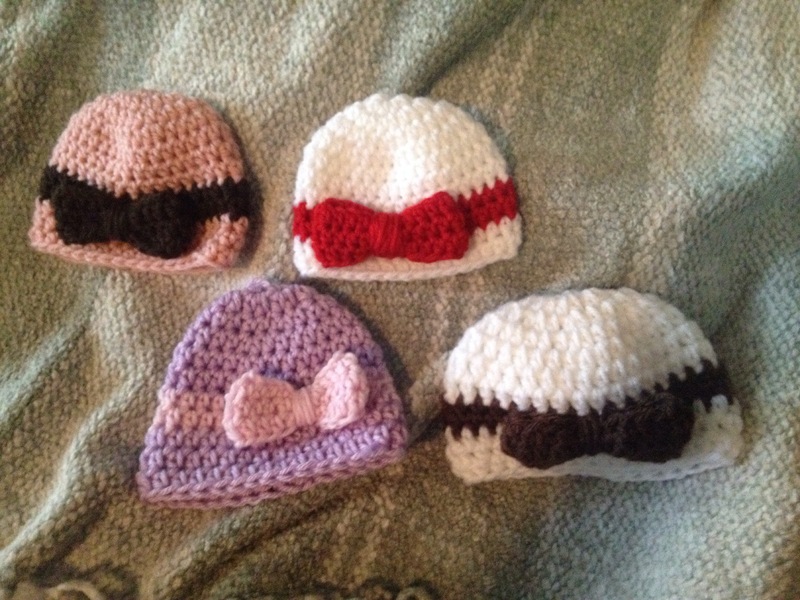 We taught some crochet skills and made some hats. I wanted to show off some of the hats and give the ladies some digital resources concerning what we learned yesterday. Yesterday we taught the basics of crochet to the beginners. We taught some combination of the following stitches. If you didn’t learn all of them, no big deal! You can learn them next time. If you have any questions, feel free to ask Shanda or me anything you would like. The links below describe the stitches using words and figures. The Crochet Crowd also provides a great series of YouTube videos for beginners. 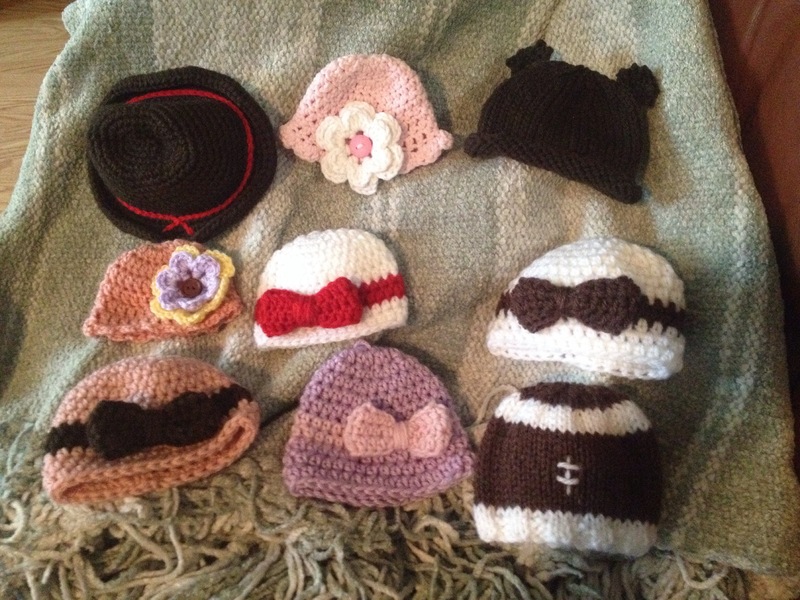 After you learn these basic stitches, you can make any of the hats featured above! I had several patterns printed out yesterday and wanted to make them digitally available to everyone. I found these patterns on Ravelry, which is a great source for everything knitting/crocheting. If you join Ravelry, friend me! My profile is here. Feel free to be creative with the patterns! 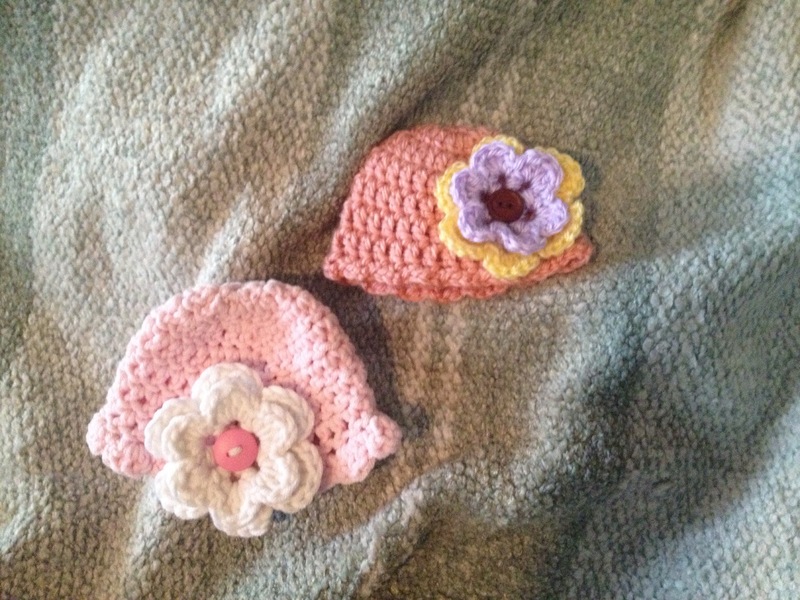 Both of the hats we made have an added on edging. 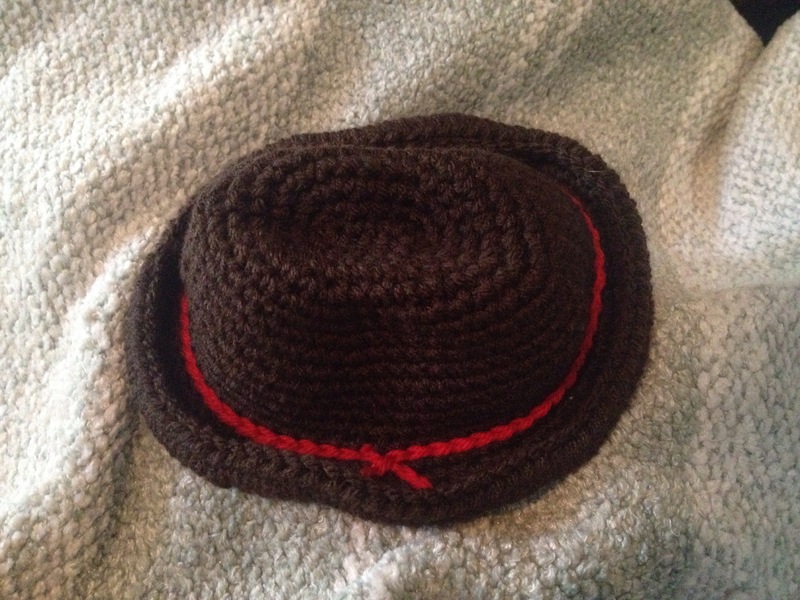 This turned out looking a little more like a Fedora than a cowboy hat. I might edit it a little next time I made it. I made one edit to this pattern. 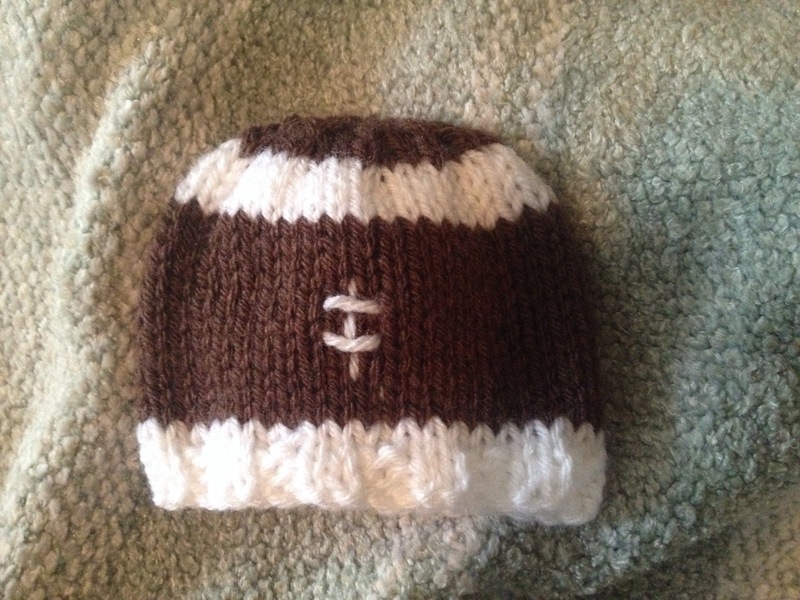 The pattern calls to knit until the hat is 6″ long. That is very long for a preemie hat. 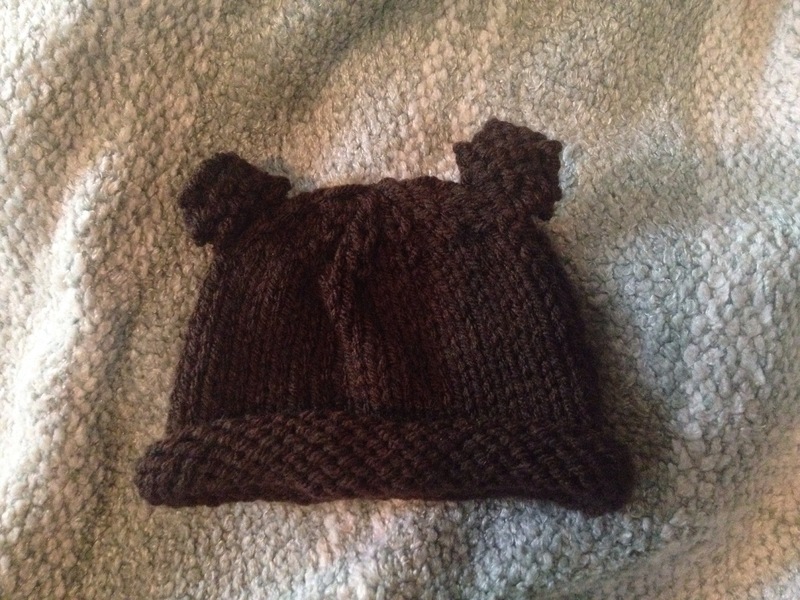 I knit it to 4.5″. It looks about right. Enjoy the patterns and feel free to ask me questions! 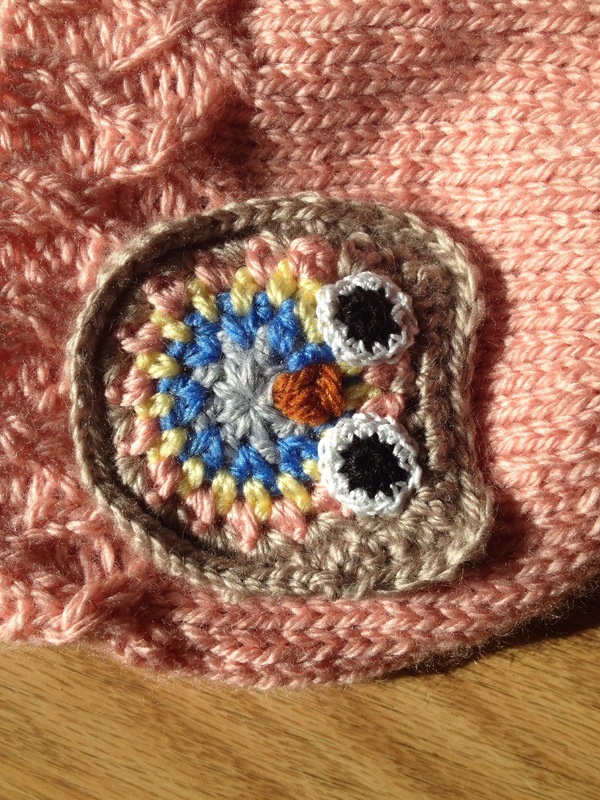 My cousin Amber asked if I could come up with a pattern for a baby owl hat. 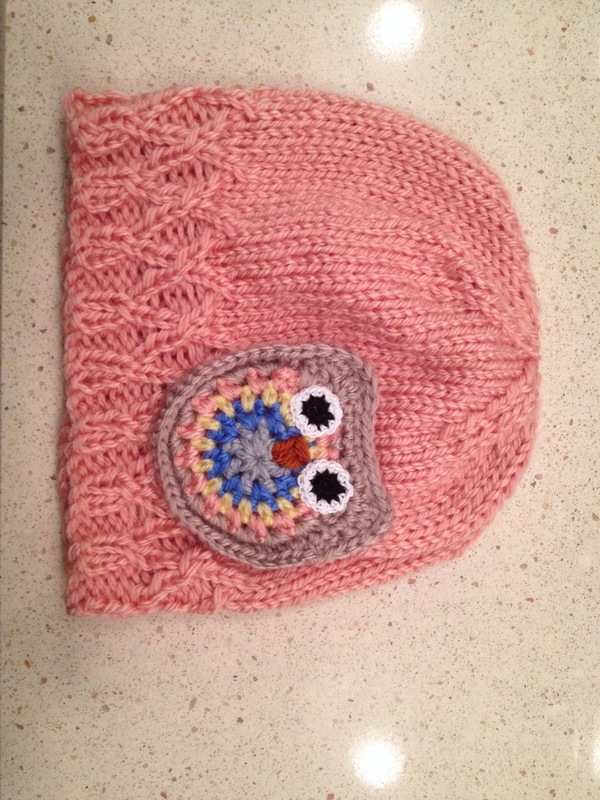 I combined the hat from my Hello Kitty Hat with an adorable owl keychain I saw on Ravelry. The outcome was quite cute. She wanted the main hat color to be peach. I usually work in jewel-tones, which aren’t available in baby yarn. I made this hat in pastel baby yarns. The yarn is so unbelievably soft! It was quite a bit less stretchy than what I normally use, so I had to start over with larger needles halfway through the project. I should actually start recording my gauge and experience with different fibers. Knit each following row until the hat is 5 inches long. With G and size 0 hook ch3 and sl st to form ring. Fasten off G and work in ends. Fasten off B and work in ends. Fasten off Y and work in ends. Fasten off P and work in ends. With O, embroider beak as shown in picture. With K and size 2 hook, ch3 and sl st to form ring. Fasten off and work in ends. Fasten off leaving long tail for sewing. Sew the eyes onto the owl using the picture for placement. Modified sc (msc): When you insert your hook under top 2 loops of the stitch below, also insert it under the hat loop directly underneath the stitch on the owl, yarn over, bring loop through hat loop and owl stitch, yarn over and bring loop through both stitches on hook. R7: Ch 1, turn, msc in each stitch around, 2 msc in marked stitches, sl st in first msc. One of my patterns is practically famous! I love Ravelry.com for those of you that don’t know, it’s a site for everything knitting and crocheting. I’ve recently started posting some of my original patterns to the site. 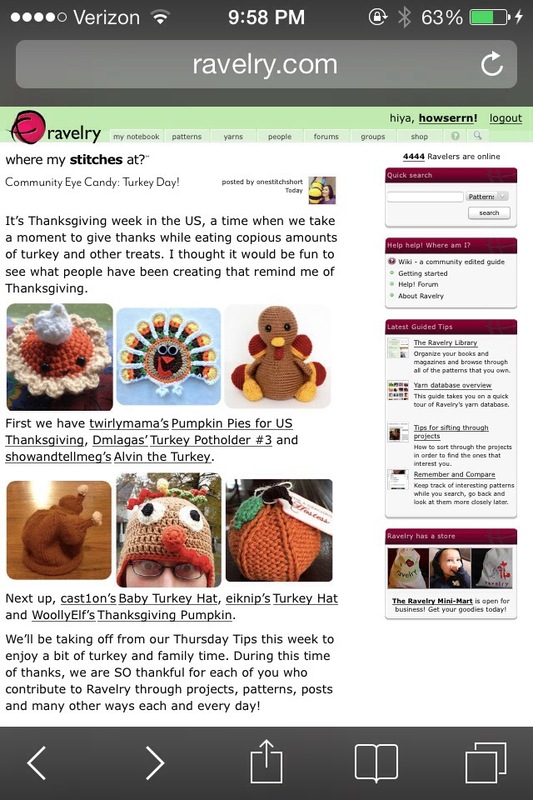 I just opened the main page to discover my Baby Turkey Hat pattern featured as one of their six Thanksgiving patterns! Someone else made the hat in the picture, but that is still really awesome. I love that someone else made one if my creations. I made four of these hats in the last two weeks! 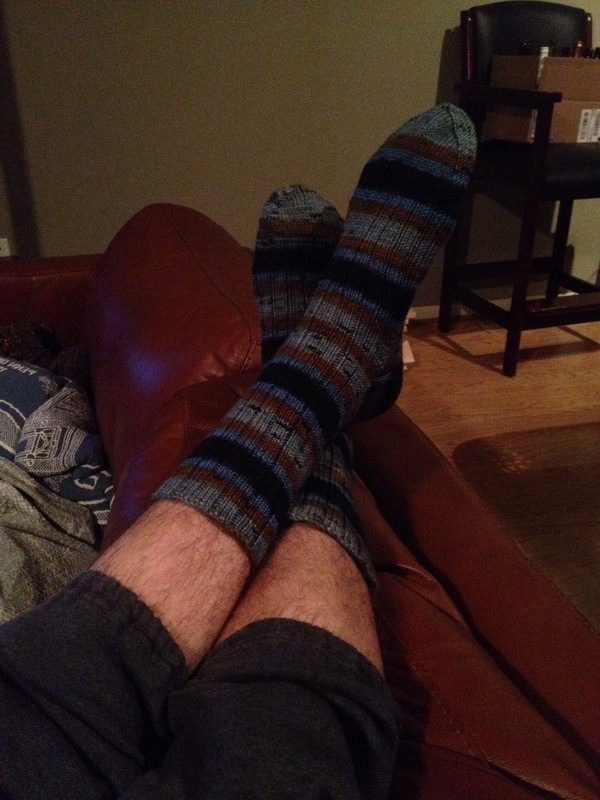 Before our wedding, I secretly knitted a pair of socks for my husband. 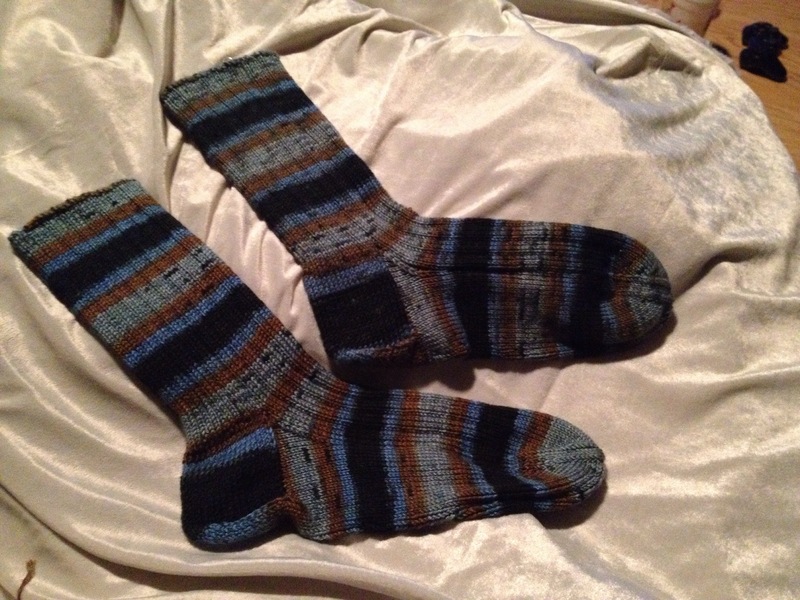 I gave them to him the morning of the wedding so he wouldn’t get “cold feet.” I knitted the socks using the Deborah Norville Collection Serenity Garden Yarn in Twilight. I loved how the color work turned out, and the yarn feels amazing. I used a free pattern available on Ravelry titled “Basic Ribbed Socks.” The pattern was easy to follow. I didn’t make any adjustments to the pattern. He married me, so I guess he didn’t get cold feet! Overall Experience: Good. The only thing I didn’t like is how the socks came together at the toe. The joining technique caused a slightly pointed toe. I’m currently working on various projects for my upcoming October wedding. Our colors are purple and grey. 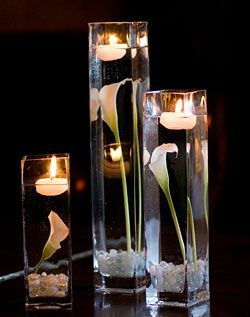 For the centerpieces, I chose groups of three glass cylinders containing a single eggplant calla lily. The cylinders will be filled with water with a floating candle floating on top of each. The effect will be similar to picture below. My dress is extremely lacy, and I am incorporating lace into various aspects of the decorations. I wanted to include both lace and grey into the centerpieces, so I chose to crochet doilies to place under the centerpieces. I searched Ravelry for free doily patterns and chose Doily 4403 8 Point Star. 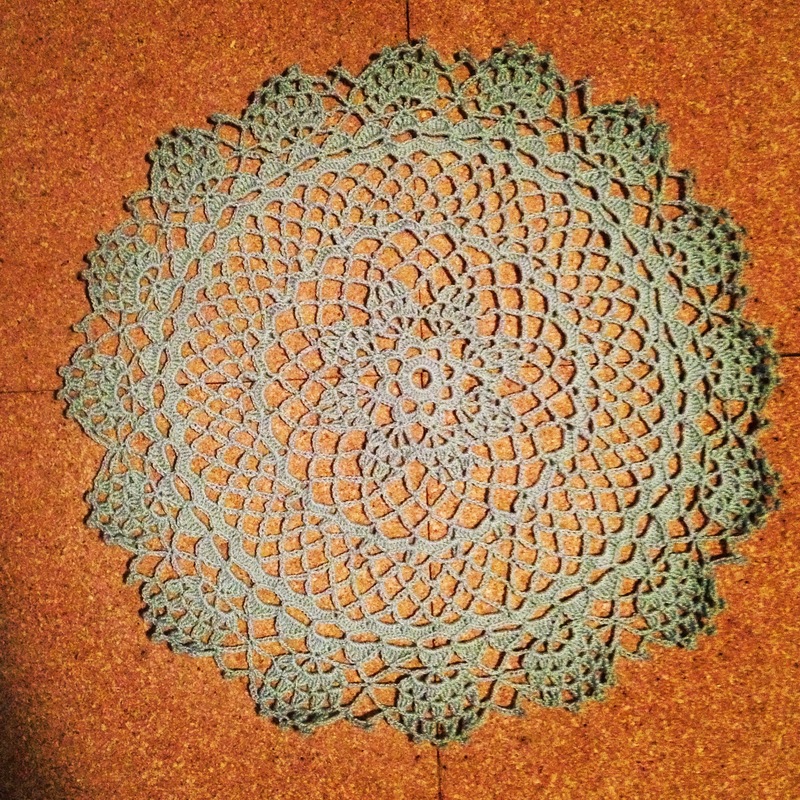 The pattern creates a 9 3/4″ doily. To achieve a more appropriate size for my purposes (17 “), I used a size 0 crochet hook rather than a size 11. I’m making the doilies out of Bernat Handicrafter Crochet Thread in Misty Grey. I recruited my grandmother and great aunt to help me make some of the 20+ doilies need for the reception. That’s a lot of doilies! Since I will busy with these, my summer knit-a-long project Nachtfalter, and some surprise projects for my wedding party, I won’t have “new” project to blog about for quite some time. I have pictures of quite a few old projects to blog about until I finish.